The Blues Brothers make special appearances when requested at PROTOCOL functions. 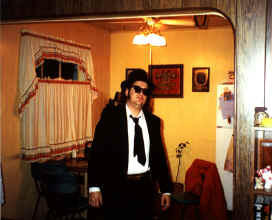 The Blues Brothers feature can be performed as one set in a PROTOCOL program. Inspired by the original Jake and Elwood Blues, the Blues Brothers set is very interactive and customized to make your event a lot of fun. We will work with the event coordinator to include names and details about your event. We will tailor our interactive sequences to your party. We use appropriate humor to ensure that everyone has a wonderful time and goes home with great stories to tell about the event. 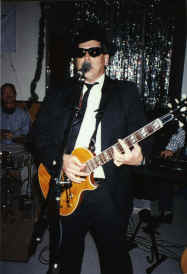 Appropriate for anything from the wildest party to a not-too-conservative professional event, we can adapt the Blues Brothers experience to your group and your setting. It is absolutely guaranteed to break the ice at ANY gathering. For more information, or to schedule the band, please contact us.